Shortly after the New Year, I met again with Sawyer Brockstedt. The Rehoboth Beach 12-year-old made a national name for herself with a T-4 finish in last year’s Drive Chip & Putt Championship at Augusta National. 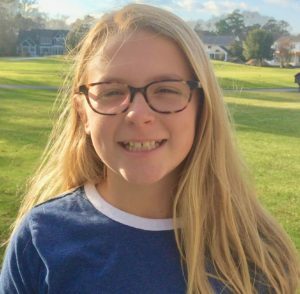 The sixth-grader at Sussex Academy is blessed with self-drive and determination, and by a close-knit family who supports her focused efforts to play golf at the highest level she can reach. Brockstedt’s recent tournament results showed she is among the best junior girl golfers in America, but that further improvement requires continued practice and play. In early December she and her family traveled to Orlando, FL for the Hurricane Junior Tour Tournament of Champions, where she competed in the 13-under category. Brockstedt was coming off a bit of golf downtime, with schoolwork and short days cutting into her usual preparations. The rust showed in her short game, as it does for most golfers. Her 78-81 rounds put her in 8thplace. Chunked chips and eight three-putts in those rounds were not helpful. Later she played in the Doral Publix International, sponsored by The First Tee of Miami. “It’s my favorite tournament of the year,” Brockstedt said. Unfortunately this time the tournament didn’t love her back. Putting woes and some water troubles led to a 17thplace finish in the girls 12-13 group. She had twelve more three-putts, which her dad Chase attributed to problems with speed control. Brockstedt also said she had “a lot of trouble” with the fast sloping greens. Her last tournament of 2018 was the US Kids Holiday Classic at PGA National in Palm Beach Gardens, FL, where she finished third of fifteen in the girls 12 division. Her putting improved during the two rounds, with five-three putts offset by four birdies. However, a bit of wildness off the tee and more wedge trouble took her out of the running for the title. Brockstedt was her usual chatty self when we met recently, talking a mile a minute about her game, her practice regimen, and her school schedule. She’s also going through a growth spurt, adding at least two more inches in height since last September. She gave me a printout of a three-page performance goals list that she, her father, and her coach Michael Hunt developed for the coming year. 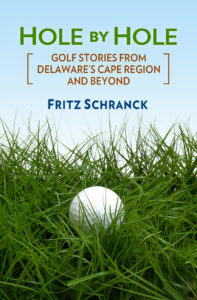 Some relate to winning or finishing well in various junior tournaments. However, most are different kinds of practice techniques that would be useful for any golfers of any talent level. Brockstedt uses a putting mirror that when placed on a green permits her to check whether her eyes are in line with the center of the putter face. For most golfers that alignment gives them the best chance to make a good putt. Her goals include making 50 putts in a row from 5 feet while using the mirror, starting over if one is missed. You don’t need your own putting mirror to do this. However, trying to make a given number of consecutive short putts adds helpful game-time type pressure to a practice session. The 18-hole putt drill is another good way to work on putting speed control. Set up three putting stations with 6 balls each at 6 to 9 feet, 10 to 15 feet, and from outside 30 feet from the hole. Par is 36 for this drill, so being able to place the first putt from each spot either in the hole or within tap-in range is the real challenge. Brockstedt’s 2019 goal is to finish this drill at 5 to 7 under par consistently. That’s achievable for her, but you may want to start out with a more modest goal, such as even par. I also liked one drill that Brockstedt will do during practice rounds. The challenge is to miss all of the greens (either deliberately or replacing those that reach them), and to make par or better from those spots. That requires some serious short game control, which should improve with practice and a decent technique. Another goal relates to club head speed. Brockstedt is now using a TaylorMade M4 driver, set at 12 degrees loft and with a senior flex shaft. She’s currently able to hit 86 mph, a very respectable speed for a slender pre-teen girl of 5 feet 4 inches. Considering that LPGA golfers average between 90 and 95 mph, with a few going well past that limit, Brockstedt should be able to improve her number as she grows in size, strength, and quickness. Your local pro should be able to help you determine your average clubhead speed and suggest ways to improve your own numbers.